Yes, I’m still here and so is Canna Land. My laptop lost its motherboard, but now is back from the shop and all is well. We have enjoyed a very warm autumn here in Las Vegas. 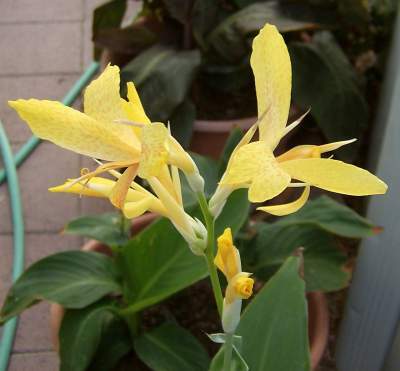 The cannas have not yet been nipped by frost. Many are still blooming. I’m trying to encourage my seedlings to go ahead and bloom before it’s too late. 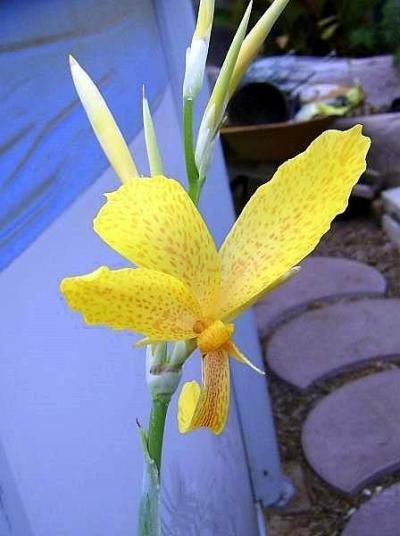 The first of my 2008 seedlings is yellow with red speckles. 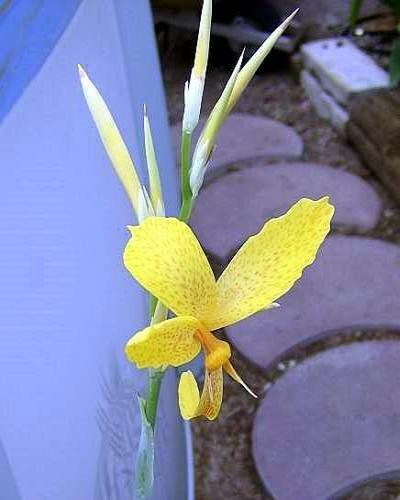 The flower is wide open with narrow petals – about 4 inches across. 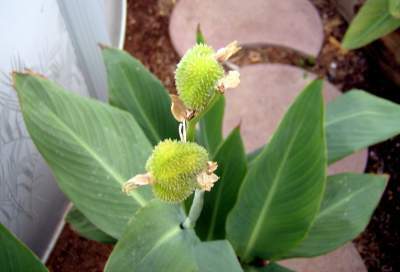 It has blue-green leaves with the look of a water canna. 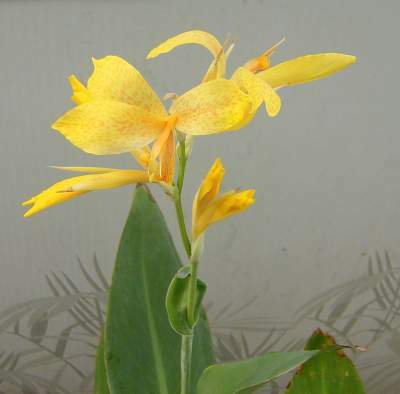 My first canna seedling to bloom! 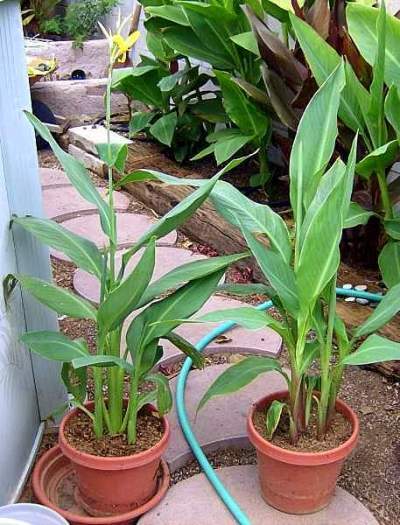 I have decided to grow this canna next year to see how it does. I like the way it holds up to our hot summer sun and does well in a pot. I think that this seedling is probably very similar to other named varieties, but it has two of my most necessary qualities. So I am planning to grow it at least for next season. I will call it Happy Henry just for fun.